Compared with the previous year, the value of European machine tool shipments increased by 6% in 2012 to reach 22.2 billion euros. However, with the continuous deterioration of the â€œBusiness Confidence Indexâ€ in the European market, machine tool manufacturers in the region still rely mainly on product exports as an important way for enterprise development. The European Machine Tool Industry Association has published this information, and it also predicts that global demand this year will drive new machine tool orders to grow by 15% to 22.5 billion euros ($29.5 billion). The European Machine Tool Industry Association is a consortium of 15 national machine tool manufacturers' associations. In the European and European Free Trade Association, there are approximately 1,500 industrial companies. Among them, the European Free Trade Association and Turkish machine tool production account for about 97% of the total European production, and more than 33% of the world total. In 2012, of the total shipments of machine tools, the export volume reached 18.8 billion euros (24.6 billion US dollars), accounting for about 85% of the total. Compared with 2008, it has increased by 9%, so for the European Machine Tool Industry Association, the shipment volume in 2012 has set a new record. In contrast, the 2011-2012 European machine tool consumption has shrunk by about 2%. The European Machine Tool Industry Association said: "Although European machine tool manufacturers have found market opportunities in emerging markets, the European consumer sluggishness remains a concern for them." The association pointed out that since the 2008-2009 economic crisis, local machine tool manufacturers have begun to suffer from credit crunch and constant restrictions on financial resources. 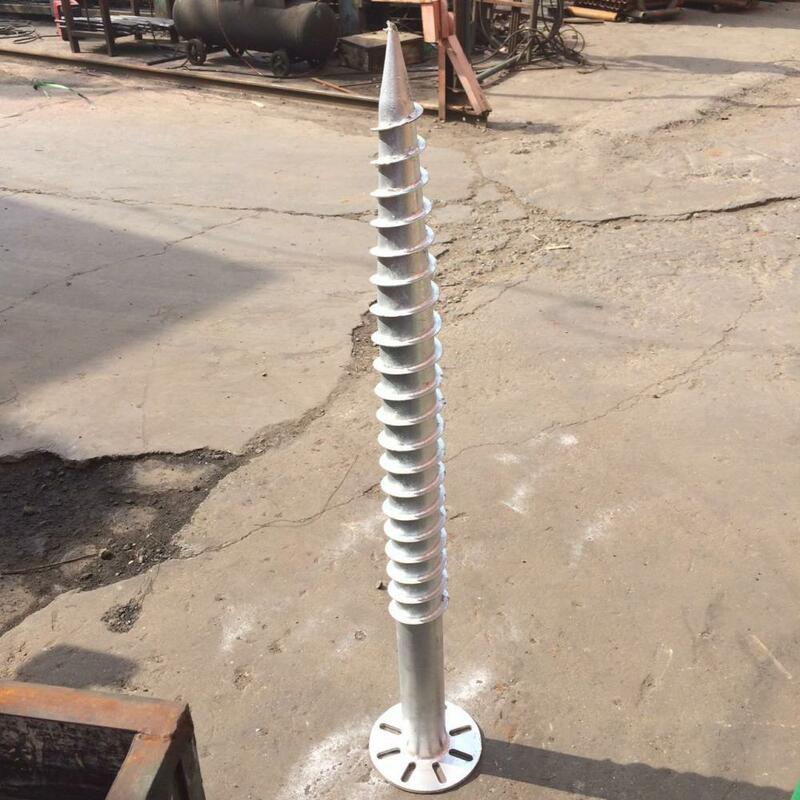 F series Hdg Ground Screw with flange ,convenient connection and reliable .easy to install .